Rob Bland (Baseball Writer – MLB reports): Every one of the MLB’s franchises will be looking for bullpen help, and most will be looking to add a major contributor to the back-end. The closer position is one that is seen as the most underrated as well as the most overrated job in all of baseball. On one hand, some people may over-value a closer’s “makeup” and poise, where others say “it’s the same as pitching at any point in the game.” While I like to sit somewhere between these two concepts, most fans like knowing that their team employs a “proven veteran closer.” All you have to do is look at the St. Louis Cardinals of 2011 to notice that is not necessarily the case. Their closer was Jason Motte, although Tony La Russa refused to officially anoint him so. Motte had 12 career saves going into the postseason, 9 of which were in 2011. However, the fireballer was dominant in the postseason, and helped to bring in another World Series title to St. Louis. In 2007, the Boston Red Sox employed a closer by the name of Jonathan Papelbon, a 2nd year closer, and they went on to win the World Series. There are several other times where a homegrown closer has led his team to a championship, Brian Wilson of the 2010 San Francisco Giants being another recent one. There are many closers without a set home for 2012, with Papelbon headlining that list. It has been said that Papelbon is looking for a 4 y ear contract, and could even get a 5th guaranteed year on the open market. Much of the early talk about closers this off-season has surrounded Ryan Madson, formerly of the Philadelphia Phillies. It was rumored that he had agreed with the Phillies to a 4 year, $44M contract with a 5th year as a vesting option. It was said that the Phillies GM Ruben Amaro Jr. was awaiting approval from team president David Montgomery. It has recently come to light that Amaro Jr. has vehemently denied these rumors. Frank Francisco, Francisco Rodriguez, Heath Bell, Jonathan Broxton, Joe Nathan and Francisco Cordero are all closers who may be looking for new homes in 2012. Also available are Matt Capps, Jon Rauch, David Aardsma, and Takashi Saito. The Boston Red Sox, Philadelphia Phillies, San Diego Padres, LA Dodgers, Cincinnati Reds, Toronto Blue Jays, Minnesota Twins, Florida Marlins and Houston Astros are some of the teams who figure to be in the market for a closer, if not to upgrade. Because of the Madson fiasco that has been taking place, I doubt he re-signs with the Phillies. 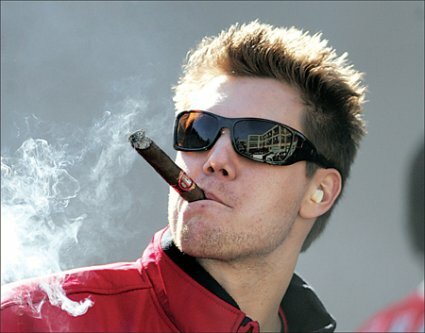 The Phillies seem to have moved on to their next target, Papelbon. All Papelbon has done in his 6+ seasons with the Red Sox is accumulate 219 saves with a 4.43 K/BB ratio. His career ERA sits at 2.33 while his FIP isn’t far off at 2.60, showing just how good he actually is. I think a 4 year deal worth $51M and a vesting option of $15M would likely get the job done. Madson’s early “almost signing” may have set the bar for Papelbon, and Madson will be looking for something in the same range. He may have to settle for a bit less as the Phillies look to get the signing done quickly. Madson took over for Brad Lidge, who battled injuries in 2011 as the Phillies closer. A 3.88 K/BB ratio and a ground ball rate close to 50% ensured a very successful season where his FIP was 2.25. 4 years and $40M should get it done, and I see him going to the LA Dodgers. Francisco Rodriguez (K-Rod) was traded at the deadline from the Mets to the Milwaukee Brewers, but didn’t get an opportunity to close o ut games. His displeasure with the situation was coming out, even though incumbent closer John Axford was performing extremely well, and the club was on its way to a playoff berth. The Miami Marlins (still doesn’t feel right to say) are looking to be huge spenders this off-season, and I see no difference with K-Rod. 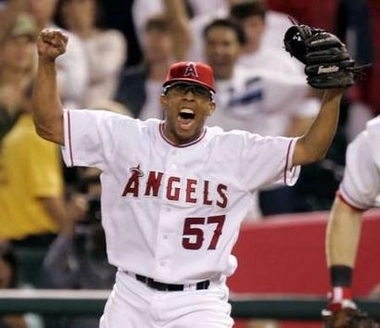 Rodriguez has 291 saves in his career, including a single season record 62 in 2008 with the LA Angels of Anaheim. I see the 30-year-old signing a 3 year deal worth $30M to usurp the incumbent Marlins closer, Juan Oviedo (previously known as Leo Nunez). Heath Bell is a closer who has had tremendous numbers over the last three seasons, albeit in ultra spacious Petco Park as his home field. His K rate dipped this year, and may have been a bit lucky with a .261 BABIP. San Diego Padres GM Josh Byrnes has already said he would likely offer arbitration to Bell, a Type A free agent. Bell has also said in the past that he would accept arbitration, as he likes San Diego. This presents a slight problem for the cash-strapped Padres, who prefer to keep their payroll lower. Bell will be due a raise from the $7.5M he made in 2011, so a $9-10M 1 year deal will likely be in place here with the Padres. 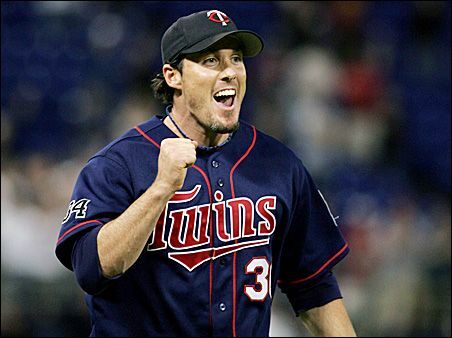 Joe Nathan is a special case, because he had an option of $12.5M declined by the Minnesota Twins, who would still like to bring him back. Nathan did not pitch in 2010 after undergoing Tommy John Surgery, and threw 44 2/3 mediocre innings in 2011. However, over his last 27 innings, he gave up only 20 hits, 5 walks and 10 runs, really finishing strong and proving he is healthy again. The downfall is that by spring training, he will be 38 years old and clearly looking at the end of his career. The Toronto Blue Jays are looking for a closer to anchor a bullpen that will see a lot of turnover, and Nathan could be had for $4M and a club option for 2013. Jonathan Broxton is another closer looking to establish his value. The hulking 6’4” 300 lb closer had a disappoint 2011 season, and just had surgery to remove loose bodies from his elbow in September. His K rate has steadily declined from the career high of 13.50/9 IP in 2009. His ground ball rate, BB/9, ERA and FIP have all suffered at the same time. Broxton will likely get a one year, incentive-laden deal to prove he is healthy. He will likely have to settle for a setup man role, and I think he could work with the Mets in spacious Citi Field. Francisco Cordero has had a 13 year career that started in Detroit, then took him to Texas, Milwaukee then finally Cincinnati. The Reds recently declined his $12M option, but GM Walt Jocketty has said he hopes to bring the closer back. However, I don’t see him donning the Reds jersey any longer, as the soon to be 37-year-old will look to move on and close out his career. While his fastball still averages 93 mph, it is 3 mph slower than Cordero’s prime. Because of this, his K rate has dipped to 5.43/9IP from 12.22/9IP in 2007. While his stats have declined, he has averaged 39 saves the last 5 seasons. He will probably settle for a one year deal worth $6M, where the Minnesota Twins will sign him. It’s a carousel in the closing world, as more teams are beginning to put less stock in having an established closer at the back of a bullpen. Homegrown closers are becoming a more popular choice, but some teams look for that slight edge, and if it means overpaying for a pitcher who will throw roughly 5% of the team’s innings, they will do so. Posted on November 11, 2011, in The Rest: Everything Baseball and tagged baseball, bell, bluejays, broxton, capps, closers, francisco, jays, lidge, madson, mlb, nathan, papelbon, phillies, redsox. Bookmark the permalink. Leave a comment.